In this thrilling and panoramic historical novel we see one of the most storied uprisings of classical times from multiple points of view: Spartacus, the visionary captive and gladiator whose toughness and charisma turn a prison break into a multi-cultural revolt that threatens an empire; his consort, the oracular Astera, whose connection to the spirit world and its omens guides the uprising's progress; Nonus, a Roman soldier working both sides of the conflict in a half-adroit, half-desperate attempt to save his life; Laelia and Hustus, two shepherd children drawn into the ranks of the slave rebellion; Kaleb, the slave secretary to Crassus, the Roman senator and commander saddled with the unenviable task of quashing an insurrection of mere slaves; and other players in a vast spectacle of bloodshed, heroism, and treachery. 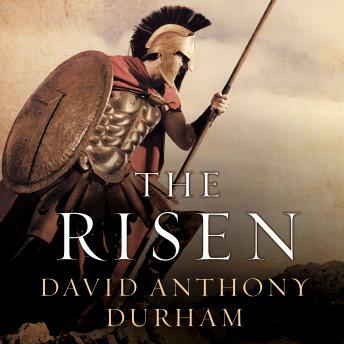 In The Risen-the term the slaves in revolt have adopted for themselves-an entire, teeming world comes into view with great clarity and titanic drama, with nothing less than the future of the ancient world at stake. No one brings more verve, intelligence, and freshness to the novel of the classical age than David Anthony Durham.